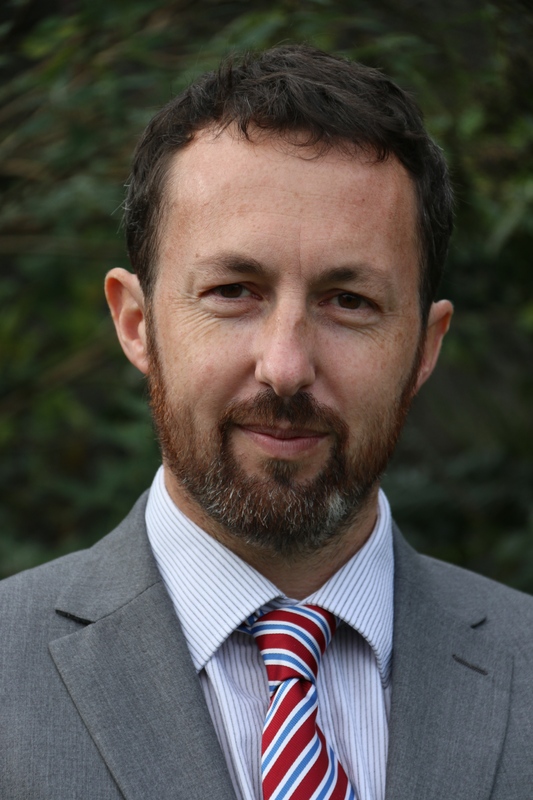 Dr Edward Gash, who currently teaches in the Science Department at Bandon Grammar School has been appointed new Principal of Midleton College, County Cork. Midleton College is a Church of Ireland, co-educational day and boarding school which was founded in 1696. The Chairperson of the Midleton College Board of Governors, the Right Reverend Dr Paul Colton, Bishop of Cork, Cloyne and Ross announced the appointment on Monday, 20th October 2014. Dr Gash (39) is a native of Cork where he attended St Luke’s National School, Douglas and afterwards Ashton School, Cork. He studied for the degree of Bachelor of Science at University College Cork, receiving a first class honours degree, and the award of College Scholar in his chosen discipline of physics. He was awarded his doctorate (PhD) in physics at UCC for his thesis entitled ‘Unusual time-dependant oscillations in naphthalene buffer gas systems following UV flash photolysis measured using Cavity Ring-Down Spectroscopy’. He taught for a time at third level and from 1998 to 2002 was a course coordinator in the physics department at UCC. During that time also he lectured in the graduate course in computer interfacing of experiments. As a TEFL teacher (Teaching English as a Foreign Language) he worked with NASC Ireland (the Irish Immigrant Support Centre) teaching English to refugees and asylum seekers between 2001 and 2003. From 2004 to 2005 he taught Maths in Christchurch, New Zealand. He then fulfilled a long-held desire to teach at the formative, second level of education. He completed his Post-Graduate Diploma in Education and subsequently returned to UCC to complete a Masters of Education degree. He has been a teacher at Bandon Grammar School from 2006 until the present, and served for a time also as an assistant housemaster in the school’s boarding section. He teaches maths, applied maths, science, physics and computers. Also at Bandon Grammar School his extracurricular responsibilities include Tech club, Young Scientist, and he is a coach of both hockey and cricket. He has played both sports himself locally and at interprovincial level. He was Manager of the Irish under-18 hockey team and head coach of the Irish National under-15 talent group. Between 2006 and 2008 he was a site director and assistant site director at the Centre for Talented Youth at Dublin City University. He has a particular interest in ICT and computer technology. I am thrilled. These are challenging times in Ireland but also ones of great opportunity for everyone involved in education. I have loved my years at Bandon Grammar School and am very excited and exhilarated at the opportunity being given to me now by the Board of Governors of Midleton College. Edward Gash has shown his own commitment to learning, education and research. He has proven himself as a teacher and as an active member of a school community. I am confident, as is our Board, that he brings immense talent, vision and also energy to Midleton College. While he will build on the work and achievements of his predecessors, he will also, no doubt, bring his own distinctive flair, hopes and experiences to bear on his leadership of our community in the years ahead. We all wish him well and assure him of our support. This entry was posted in Announcements, Church of Ireland, Diocese, Education, People from the Diocese, Schools in the Diocese, Youth Work. Bookmark the permalink.